Gone are the days when candles merely served to illuminate your home. Nowadays, they are as decorative as a framed piece of artwork, designed to complement a wide range of styles and personalities. 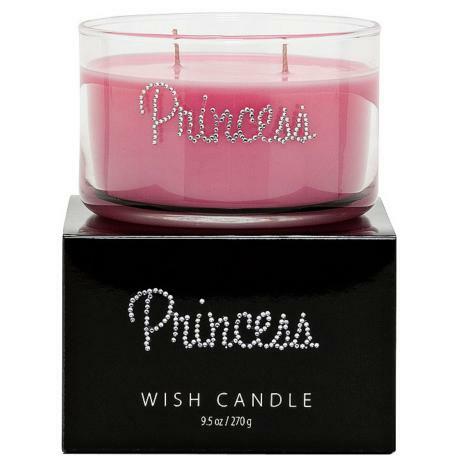 The Pink Princess Hand-Jeweled Wish Candle has the word "princess" hand-jeweled across the clear glass. IT whispers a smooth blend of jasmine and hyacinth with a hint of sweet citrus. The scent is simply perfect for a Princess!